In this very article for 3D logo printing, we've elaborated how to make a 3D printed logo from an STL 3D modeling file or from the ground up. We use cost-effective & easy 3D printer - DOBOT MOOZ as the 3D printing solution. And for users don't have 3D slicing file, we put forward Tinkercad as the workaround to build a 3D printed logo from scratch. Alternatively, we've also exampled CNC carving logo and engraving logo to bring in other 3D arts. Branding is how we build our business and how people perceive our company in a long time. Logo plays an essential part of branding. Real 3D printed logo art can be very straightforward and helpful when we evaluate our logo design, be it an individual designer or an organization owner. To get a 3D printed logo, a group of people prefer a 3D printing service online and have their logo printed by a third-party. Just think that ordering such service takes time and their printing technology may not be as good as they advertise. Besides, when you are not satisfied with your previous design and would like to make a change, it can cost you more time to wait for the 3D printed cargo. Why not afford a quality Mini 3D printer? It can save us substantial time and money in the long run. In addition, such a 3D printer can spice up indoor life with creative DIY prints. Give a try of DOBOT MOOZ - an inexpensive, industrial-grade 3D printer! Its prices begin at $559 and go up to $799 for the most advanced model with CNC curving and laser engraving modules. With MOOZ, you are free to print any logo designs at any time and compare these logo ideas in the most intuitive way. How to Print Your Own 3D Logo Art? 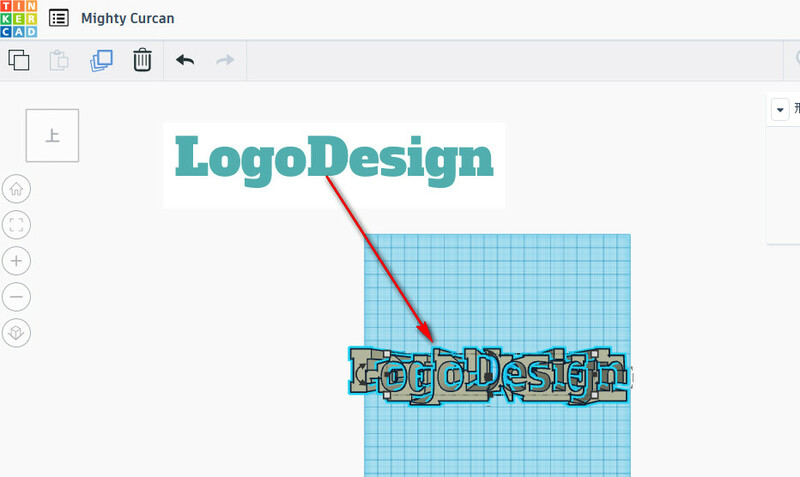 Let's assume you've smartly saved your 3D printing logo design in Gcode to a U-disk or an SD card(Or, please check the next part - how to make your model for printing 3D logo art). Then, the rest work is relatively easy when you have DOBOT MOOZ printed logo out. 1. Rightly assemble DOBOT MOOZ: X, Y, Z-axis, heated bed, a functional module, etc. This takes roughly 10 minutes. 2. Level 3 points in heated bed. 5. Connect U-disk or SD card to a 3D printer. 6. On MOOZ control pane, go [File]>SD/Udisk>Gcode file>Print. 7. When 3D printing is finished and heated bed cools off, remove 3D printed logo. Cautious: Pick a U-disk/SD card in FAT32 format (Check it out by following "My Computer"> right-click external U-disk/SD card>Properties). If your external U-disk/SD card is in NTFS format, then BACKUP ITS DATA to other drives and format NTFS to FAT32: Win key + "R">cmd>input U-disk/SD card drive letter(for example, "E:")input "format e: /fs:FAT32 /x". When it's done, copy back the data to external drive. You may think offline printing logo to 3D is a bit intricate. Consider online printing via USB connecting. Like, in Cura slicing software, press [Print via USB]. 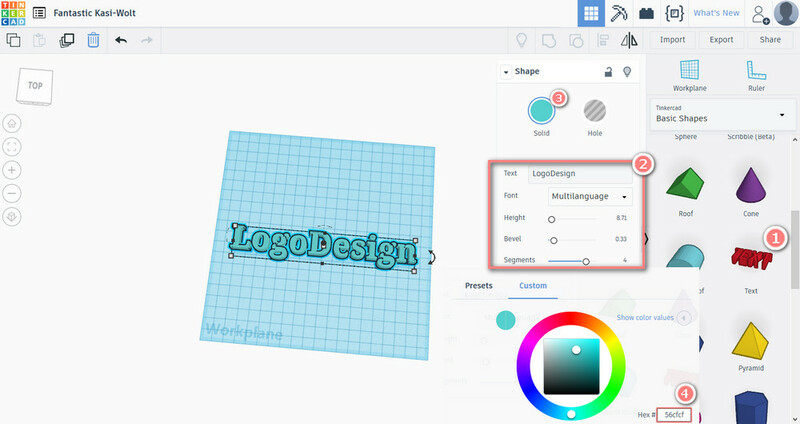 How to Design 3D Models for Printing A Simple Logo via Tinkercad? 1. Find [Text] in [Basic Shapes], drag and drop it in the workplace. 2. Change default text with your slogans. 3. Modify font, height, bevel effect and letter segments. 4. Change Hex color code. 5. Save it in Gcode and print 3D logo art online. It's Not A Wise Choice to Convert Your 2D Logo Design to A 3D Model. We've seen quite a few recommendations sharing tips on how to convert a 2D image to 3D slicing file. Here, we'd rather not recommend these methods. Based on our practices, there are serious issues when converting a bitmap image to a vector SVG image as well as loading an SVG file to a 3D builder software. It's not straightforward and not easy. The main reasons behind this are the differences in color mixing and graphics rendering. Different apps read and interpret commands differently. So a better solution is to build a 3D printing logo from the ground up. Or you are likely to get a similar 3D result like below, which is absolutely unusable. Tips: Try online-convert, Inkscape, and vectorizer when you need to convert a 2D bitmap image to an SVG image file. How to CNC Curve Your Logo to A 3D Object? Step 1, Download DOBOT MOOZ Studio and extract the files from the zip. Run MoozStudio.exe. Step 2, Select CNC tab, import image(suggest using JPEG, PNG file) by following [File]>[Import Image...]. Step 3, Adjust logo printed size with [+] and [-] buttons. 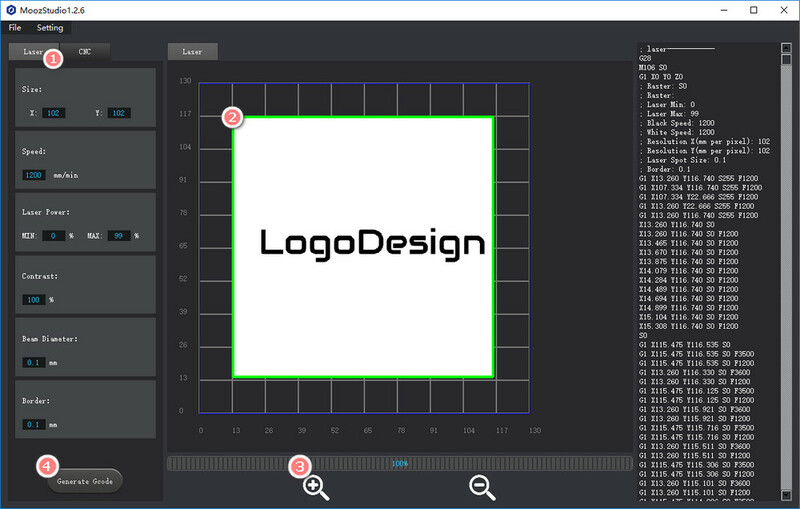 Step 4, Hit [Generate Gcode] to slice JPG/PND logo image. 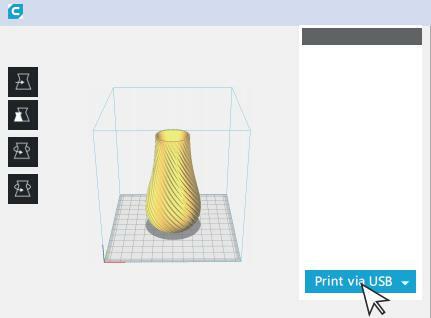 Step 5, Go [File]>[Export Gcode...]. Step 6, Copy Glogo code file to a U-disk or an SD card, plugin it to wire it with DOBOT MOOZ. Step 7, Level up CNC bed, lay down printed material(a.k.a., workpiece), set zero points and press [Play] to Curve. Tips: DOBOT MOOZ automatically removes the white areas in the graphics when running CNC curving. 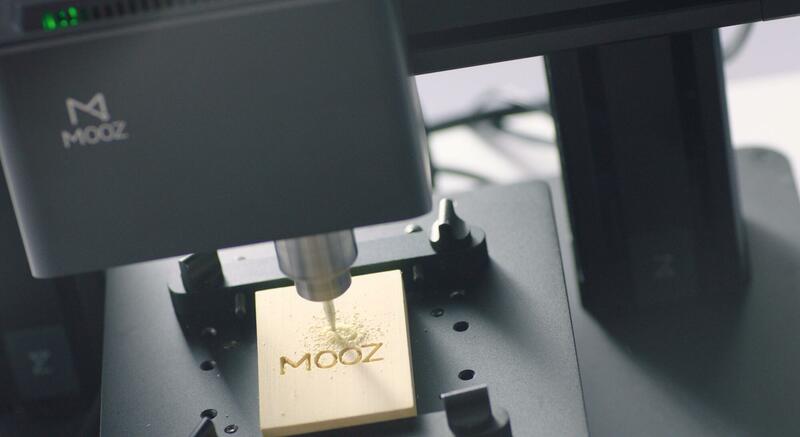 How to Use Laser Engraving to Print Your Logo in 3D? Step 1, Download DOBOT MoozStudio and extract the files from the zip. Run MoozStudio.exe. Step 2, Select Laser tab, import image(suggest using JPEG, PNG file) by following [File]>[Import Image...]. 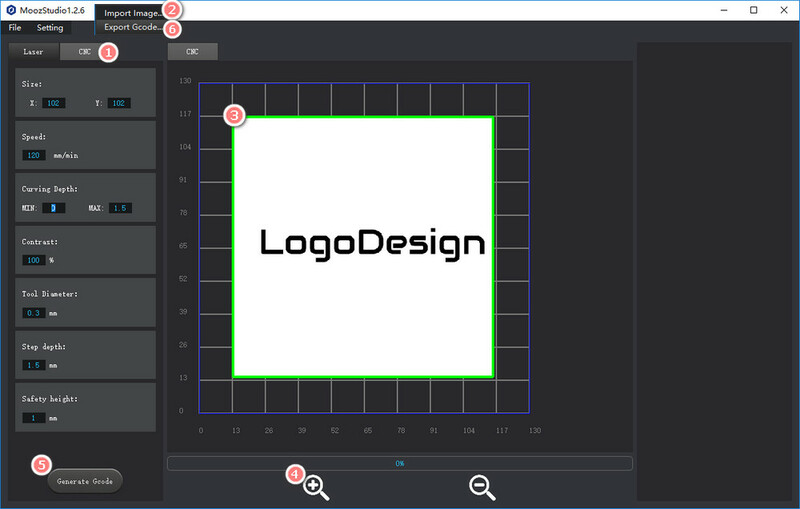 Step 4, Hit [Generate Gcode] to slice JPG/PNG logo image. Step 6, Copy logo Gcode file to a U-disk or an SD card, plugin it to wire it with DOBOT MOOZ. Step 7, Level up Laser bed, put print material(a.k.a. workpiece), set zero points, and press [Play] to run laser engraving.